I started writing about the lithium power system we are planning for the new Nordhavn 68, and quickly realized that it's incomprehensible without some basic back ground. So here is my attempt at a lithium battery summary. 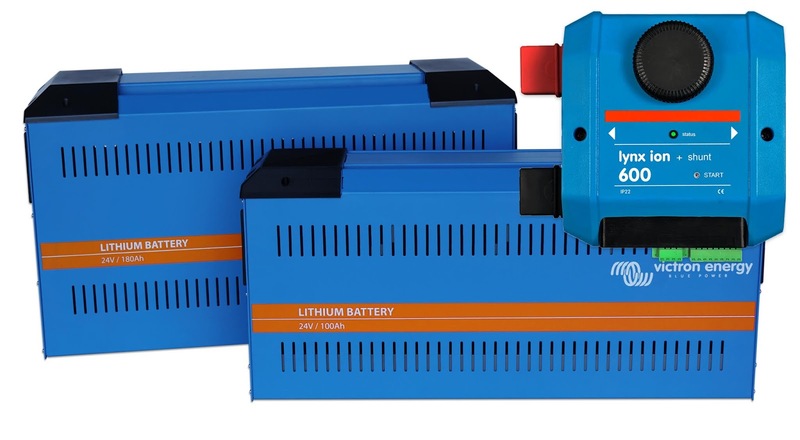 First, there are lots of different types of lithium batteries, and different types of lithium-ion batteries, and they behave quite differently. It's really important to understand some of the distinctions or you can reach a lot of incorrect conclusions. For example, it's hard to mention lithium-ion without someone bringing up the Boeing 787 battery fire issue. All batteries pose fire risks, but it varies quite a bit between different battery types. The type of batteries we use on boats is different, and doesn't have the same fire characteristics as those used in the 787. Those were lithium-cobalt-oxide (LiCoO2), and are subject to thermal runaway under certain fault conditions. It also doesn't take long for someone who paid attention in chemistry to note that lithium burns violently when exposed to water. Yikes, that sounds really bad for a boat, doesn't it? But it's lithium metal that burns in water, not the lithium-ion substances used in rechargeable lithium-ion batteries. It's like the hydrogen that's in water (H2O, remember?) 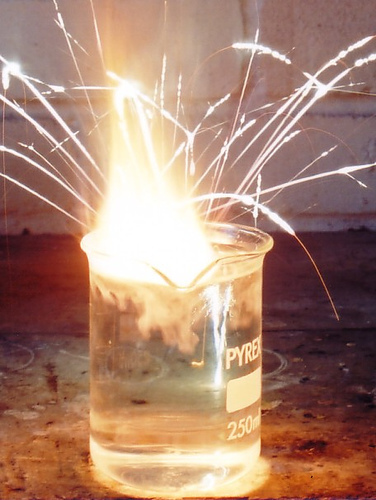 Hydrogen is highly explosive, but water isn't. It's the same with lithium metal vs it's form in a battery. Some other time I'll dig into the different types of lithium ion batteries, but for now let me say that Lithium Iron Phosphate, or LiFePO4, or LFP for short, is the preferred battery type for boats. It is by far the safest type with excellent fire resistance, and no run-away fire if it does get going. And any released substances are far less toxic than with other types of batteries. So for boats, we use LFP batteries. Charging, discharging, and general management of LFP batteries is quite different from lead acid batteries (LA for short). To really get your head around LFP, you need to forget most everything you know about battery management, because it's all steeped in LA. - LA batteries need to be brought back to full charge on a regular basis. Not true for LFP. In fact, it's fine to never bring them back to full charge. - LA batteries shouldn't be too deeply discharged, with 50% as a typical limit. Not true with LFP. It's fine to drain them down to to near zero, but never all the way to zero. - LA batteries should be stored at full charge. Not true for LFP. They should be stored in the 40-60% range. - LA batteries need temperature compensation for their charge voltages. Not true for LFP. You need to turn temp compensation off or you can damage them. - LA batteries should be left on a constant "float" trickle charge. Not true for LFP. Continuing to charge them once full will ruin them very quickly. 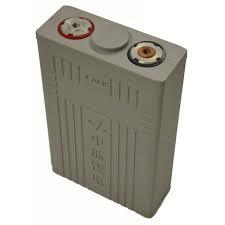 - LA batteries can be degraded if they are discharged too low. For LFP, this is harsher. They will be irreparably damaged if over discharged. - LA batteries can tolerate a wide range of temperatures. LFP batteries are less tolerant of temperature extremes. All this may seem daunting, but it doesn't have to be. Charging batteries within these constraints is common place in electronic devices, and can be done just as well on a boat with a bit of thought and planning. But it also means that the idea of a "drop-in" LFP battery is a compromise at best. We have the luxury of starting from a clean sheet of paper on our boat, so will be building a power system with all the necessary controls and safeties. Speaking of the controls and safeties, these are commonly referred to as a Battery Management System, or BMS. 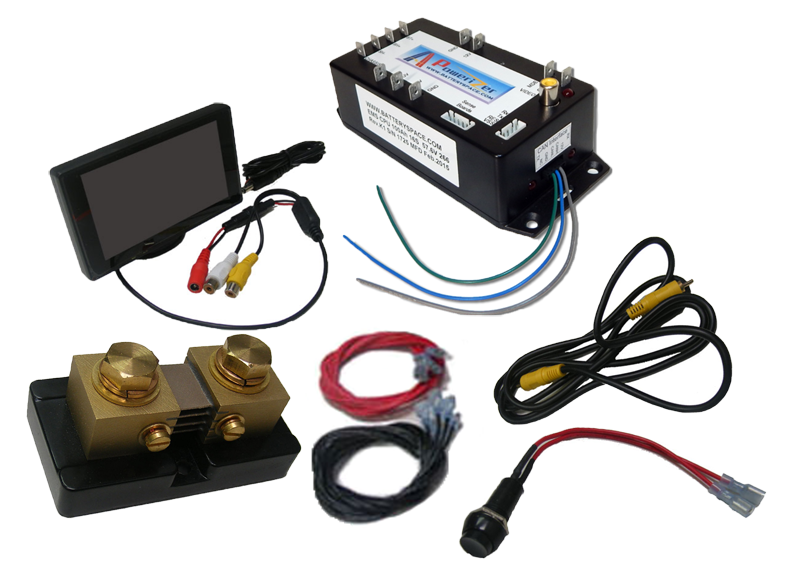 A BMS is just some sort of system that monitors the batteries, controls chargers, and controls loads to be sure the battery operates within safe limits. And if something starts to get outside of safe limits, it starts setting off alarms, shutting things down, and ultimately disconnecting the batteries completely to keep them from getting ruined. The simplest BMS can be found in the mirror. It's you, and lots of early adopters of LFP do all this themselves. With appropriate knowledge and attention, it works fine. Others want a more automated BMS that can operate without constant attention, and while you are away from the boat, and this has given rise to a variety of packaged BMS systems. Monitor individual cell voltages and alarm or take action if too high or too low. Monitor cell temperature and alarm or take action if too high or low. Provide a control signal to tell loads when they can draw from the battery and when they should stop. Control of a fail-safe switch to disconnect the batteries as a protection of last resort. Some BMSes also provide cell balancing. With LA batteries, it's good practice to regularly over charge the batteries in a modest way. Typical float charging does this to some extend, and periodic equalization does it to a larger extent. This overcharging forces lower cells to catch up with more charged cells. But with LFP, overcharging is instant death, so another means of balancing is needed. If one cell is more charged than the others, a good BMS will stop charging when the highest cell is full. If it keeps charging while the others catch up, the more fully charged cell will get overcharged and ruined. Similarly, when discharging, the loads need to be stopped when the lowest cell reaches it's lower limit. Because charging stops when the highest cell is full, and loads stop when the lowest cell is empty, if the cells are too far out of balance the overall battery bank will end up operating over a narrower capacity range than is actually available. To address this, many BMSes have circuits on each cell that redirects charge power away from higher cells and towards lower cells to bring them into balance. 1) The simplest and lest expensive is to buy batteries, and manage them yourself. And if you don't charge them too high, and don't discharge them too low - in other words, stay away from either end of the charge range - they seem to work very well. Lots of people report excellent results with this approach. 2) The next approach would be to buy batteries, plus a piece-part BMS. These piece-part BMSes typically consist of a module that connects to each cell, plus a central brain that talks to the individual cell modules and controls everything. These can also typically be connected to charge devices to control them. They also include an emergency disconnect, but the idea is that with proper control of chargers and loads, an emergency disconnect should never happen in normal operation. When you think about a boat and it's reliance on the DC power system, you REALLY don't want the battery to disconnect, EVER. So these other controls to head things off well in advance are really important. 3) The last approach is to buy a fully integrated system of batteries, BMS, and controls. Companies like Victron offer this with battery packs with integrated BMS modules, cables to link them together, and a BMS brain to connect them to. Plus they offer ways to control their chargers and inverters, and ways to control other chargers and loads. Given all the differences between LA and LFP batteries, just how should one charge an LFP battery bank? Conceptually, there is a change of roles between all the devices in a power system, when you switch to LFP. With LA, each charger controls itself, looking only at it's own voltage and current. This is imperfect with lots of overcharging, but good enough since LA batteries are very tolerant of over charging. With LFP, the batteries are very sensitive to overcharging, so a little role reversal helps a lot. Instead of the chargers deciding things, you really want the battery to decide things, telling chargers when to turn on, and when to turn off. Only the battery knows it's real state of charge, so it's in the best position to conduct charging activities. Now this is great in theory, but in practice we need to work with chargers that can't be told what to do, or have limits on what you can tell them to do. So any system today is likely a compromise and combination of different types of controls. The trick is to make sure they all work together in a reasonable way. Since LFP batteries can be irreversible damaged very quickly if over discharged or over charged, it's really important to avoid both things. In fact, there are some good arguments for never dropping below around 10-20% state of charger (SOC), and not charging above 80-90%. There isn't much capacity to be gained by going all the way to the limits, and the risk of damage goes up rapidly. There also are a variety of studies that show that LFP life is a lot longer if you do not operate to the extremes. "How much is too much" remains an unanswered question. For example, there is a study that shows significantly improved life discharging to 50% SOC vs 0% SOC. But it's unclear what happens at 40%, 30%, 20%, or 10% SOC. So there is a bunch of guessing, but many people are having success operating in the 10-20% to 80-90% range. And remember, unlike lead acid batteries, it's fine to operate LFP batteries at a partial state of charge indefinitely. Another characteristic of LFP batteries is that they very quickly transition from charging, to full. It's totally different from lead acid batteries that soak in absorption charge at a constant voltage for hours. LFP batteries will be taking full charge rate, then bang, they are full. The result of this is two fold. First, because LFP can accept full charge rate right up until they are full, you can get them recharged much faster than LA batteries. LA will charge at full rate up until about 80% SOC, then sit at a constant voltage for hours. As a result, you really can't get an LA battery full in anything less than 3-4 hours, and sometimes longer. And it doesn't matter how fast you charge them, because the absorption at the end still takes hours. And if you don't fully recharge them every several days, you will slowly destroy them, reducing their capacity as the sit at partial charge. LFP works differently, and in a way that is very, very favorable for a boat. In short, you can fully charge them in 1 to 3 hours depending on the charge rate. This is incredibly useful for boats that need to run a generator or other engine to recharge batteries because you can be done much faster. And, because LFP batteries don't care if you fully charge them or not, you can run the generator for less time and only partially recharge with no harm. For those interested, here's a quick side bar about why charging is so much faster. A battery's capacity is rated in amp-hours, or Ah. That's the number of amps you can draw out, times the length if time before it's empty. So a 100 Ah battery can, in theory, provide 100 amps for 1 hour, or 50 amps for 2 hrs, or 5 amps for 20 hrs. All multiply out to be 100 Ah. This capacity is referred to as "C" for a battery. If you further look at a battery's specifications, it will tell you how fast you can charge the battery, and how fast you can discharge it. So a battery may allow for charging at up to 0.5C (50A for our example 100 Ah battery), and it may allow for discharge up to 1C (100A for our 100 Ah battery). Back to charging LFP, most batteries specify a "normal" charge of 0.25C to 0.3C, and a fast charge of 1C. That means you can charge the 100 Ah battery at anywhere from 25A to 100A, and that will take a corresponding time of 4hrs to 1hr. So even at the lowest charge rate, you can be done in 3-4 hrs, and a fast charge can be done in an hour. I could go on and on for ever, but think this is a reasonable stopping point. Later on I'll try to dig into a bunch of this in more detail. A really clear and interesting read, thanks for your efforts. I look forward to reading more on the subject sometime soon. This was a very good description of the different battery Technologies. Thank you! Nigel wrote: "I am keen to see if you have found a way to load up the main engine(s) to fast charge the batteries - and whether you still need a low powered genset". Yes, definitely. The main will be equipped with two 200A @24V Leece Neville/Prestolite alternators. I used a slightly different model on my last boat and it can reliable operate at full rated power for hours on end. They throw off a lot of heat, but keep on running. Unlike on a smaller sailboat engine, there is plenty of room for large frame alternators. The main engine alternators are great for recharging while underway after a night at anchor, and they are great for moderate and intermittent heavy loads while underway. But you would never use them to recharge batteries while at anchor except for an emergency. The engine is just too big (~300kw) compared to the alternator load of about 10kw. Reading this now, I suspect you were asking in the context of the Triskle system. I had a good discussion with them (but not you) at METS, and better understand the fit. It's a great way to get high power output from a small sailboat engine that doesn't have the space to fit a high output, continuous duty alternator like I'm able to fit on a larger engine. And with a trick to get high output from a small alternator package, a way to avoid the need for a generator that would otherwise be the only way to get the desired power. The big win over-all, I think is running at a higher voltage. The power losses in a heavily loaded alternator are staggering, and that can be significantly reduce by running at a higher voltage. I considered making our house bank 48V for exactly that reason, but felt the alternators and regulators would be too esoteric for world cruising.